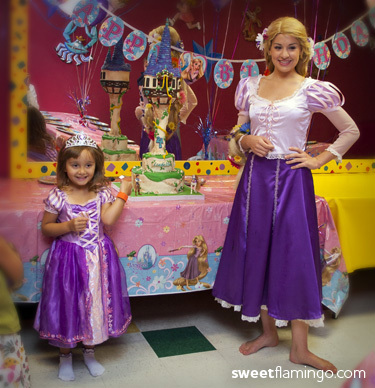 Little Miss Isabella had an extra special guest at her recent 4th birthday party, Princess Repunzel, herself! 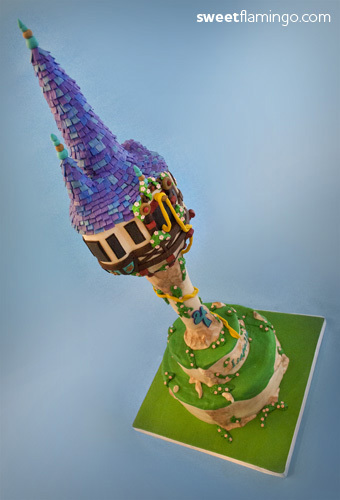 What a better way to celebrate this “Tangled“ themed party than to have the tower in cake! 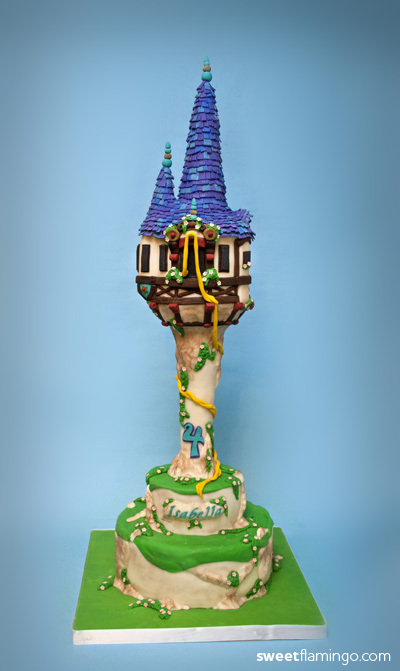 The tower stood over 3 feet tall, and was accented with white chocolate details! This cake was SO amazing. Not only did it look fantastic but it was absolutely delicious. 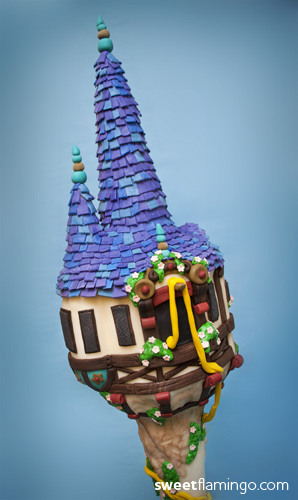 The cake itself was so moist that it melted in your mouth and the buttercream icing was devine. 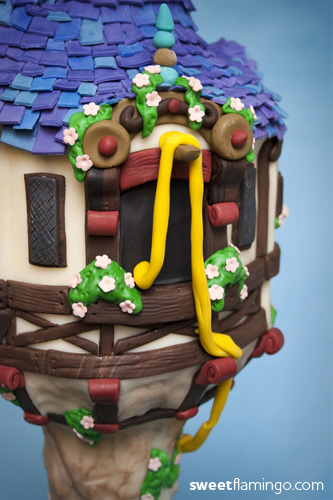 Even the fondant was excellent. 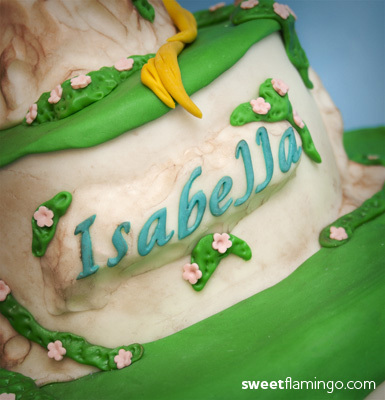 Isabella usually peels the fondant off and eats what is underneath but you rolled it so thin that she didn’t have to do that. She ate it all up!!! My husband and I can’t thank you enough for making our little princess’ birthday so special. 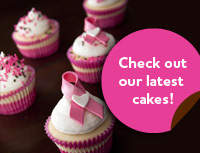 Thank you, thank you, thank you!!!!! I’ll definitely be contacting you in the future and will refer you to everyone I know!! Erica, this is terrific!! How on earth did you keep it from toppling over? You do such good work!